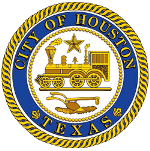 As we welcome visitors from across the world to the Bayou City, the Houston Police Department (HPD) reminds residents and visitors of some basic tips to keep themselves safe. During the Super Bowl, there will be a great deal of activities and fun, but we want you to be able to celebrate safely and don’t want your time spoiled by a stolen purse or a car break-in. Preparations for your personal safety begin even before you leave the house or hotel. Go through your wallet or purse and take out all important cards. Don’t bring unnecessary items and plan to store them in the trunk of your vehicle. Clean out your car and remove any items that aren’t necessary. Leave your laptops, backpacks and packages at home. Don’t plan on storing these items in your trunk when you arrive. Thieves are watching you store those items out of sight. Consider leaving your GPS, charging cords, Mp3 players, sunglasses and other items at home that are normally left in your car. These are inviting to thieves looking for bigger items. Once you arrive to your destination your car should be left empty so that potential thieves will see nothing inviting when they peer in your window – including spare change. As you leave your car, know what path you are taking and be aware of your surroundings at all time. If you bring a purse, keep it zipped and consider using a cross-body purse that you can keep close to your body and never let out of your sight. Always travel with a buddy and make sure you aren’t alone in an unfamiliar setting. If you have children with you, make sure they know your mobile phone number and what to do if they get separated from you. Make a plan ahead of time and spend time discussing what to do. A few simple tips and preparation ahead of time will make for an enjoyable experience.